During the early hours of a cool Los Angeles morning, the artist, performer, and writer Kenyatta A.C. Hinkle imparted these words to more than 120 undergraduates gathered at the Getty Center for Arts Summit, the annual orientation and career day that the Getty Foundation hosts for students participating in its Multicultural Undergraduate Internship program. Kenyatta’s message resonated profoundly with me because, as an undergraduate studying art history and sociology at Columbia University, I am contemplating a career in the art world. That’s why I applied to be an intern at the Getty in the first place, and am excited to be interning this summer at the Getty Foundation itself, which supports arts conservation, museums, and the field of art history through international grantmaking. In my time at the Getty this summer, I hope to expand my understanding of arts initiatives that successfully impact communities throughout the world. 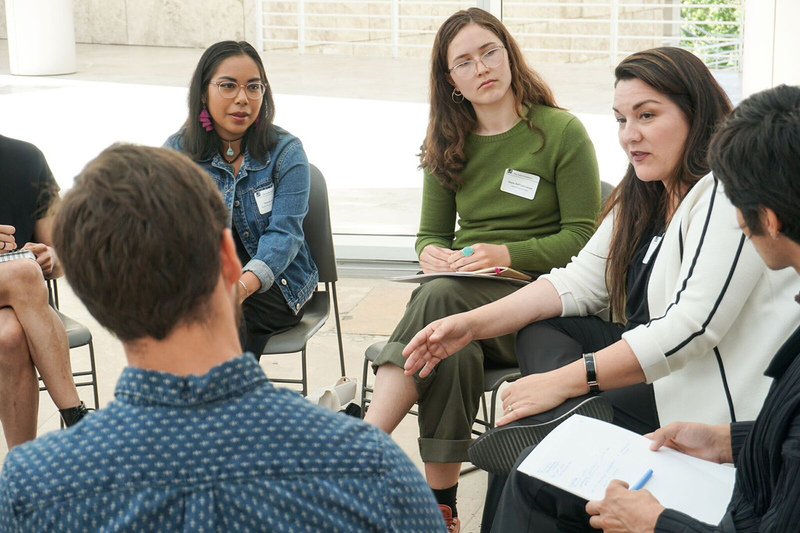 The Getty Foundation’s recent Pacific Standard Time: LA/LA initiative, for example, is just the sort of progressive project I hope to coordinate in my career since I am interested in shaping public opinion on art produced by underrepresented communities in the United States. 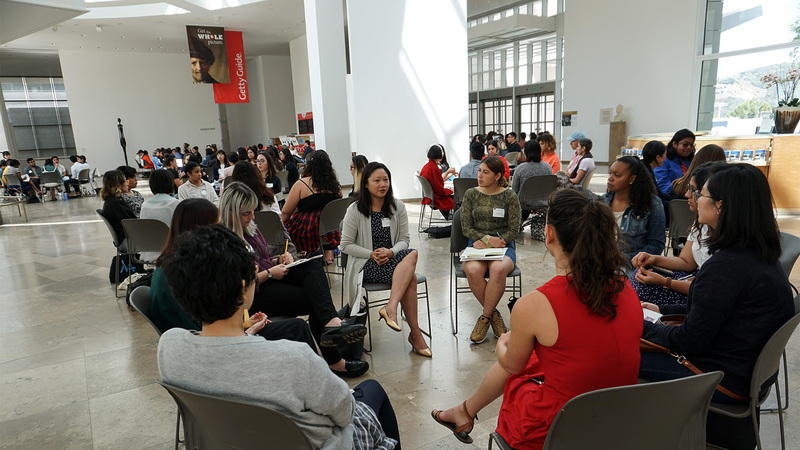 One of the Foundation’s longest running grant initiatives is the Multicultural Undergraduate Internship program, which awards undergraduates from cultural backgrounds that have traditionally been underrepresented in the arts with paid, full-time summer internships at local museums and visual arts organizations. Now in its 26th year, the program was conceived in the wake of the 1992 uprising in Los Angeles. Following conversations between then-Getty president Harold M. Williams and senior staff, the Foundation created the internship to serve the Los Angeles art community by encouraging greater diversity within its professional ranks. Arts Summit kicks off the summer for the Multicultural Undergraduate Interns each year. 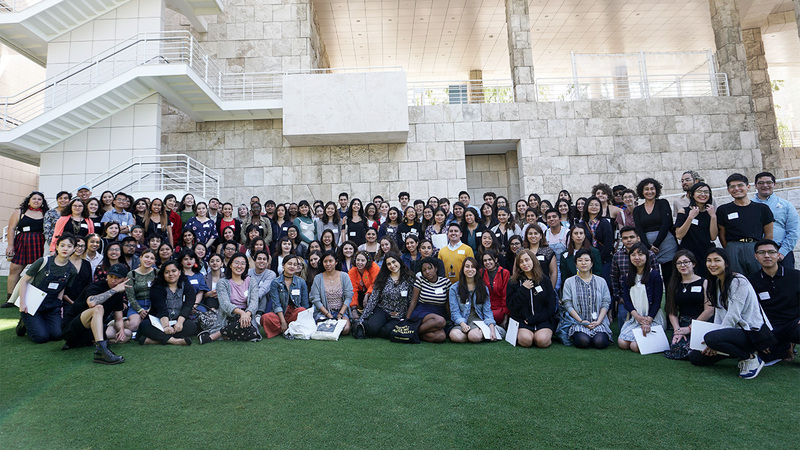 It’s designed to provide the interns—this year based at over 65 museums and visual arts organizations across LA County—with expert advice on how to navigate career paths in the arts. At the end of the day, I walked away with indispensable knowledge from professionals working in the fields that interest me, such as conservation, curatorship, and policy. Kenyatta A.C. Hinkle’s keynote, however, was the highlight. 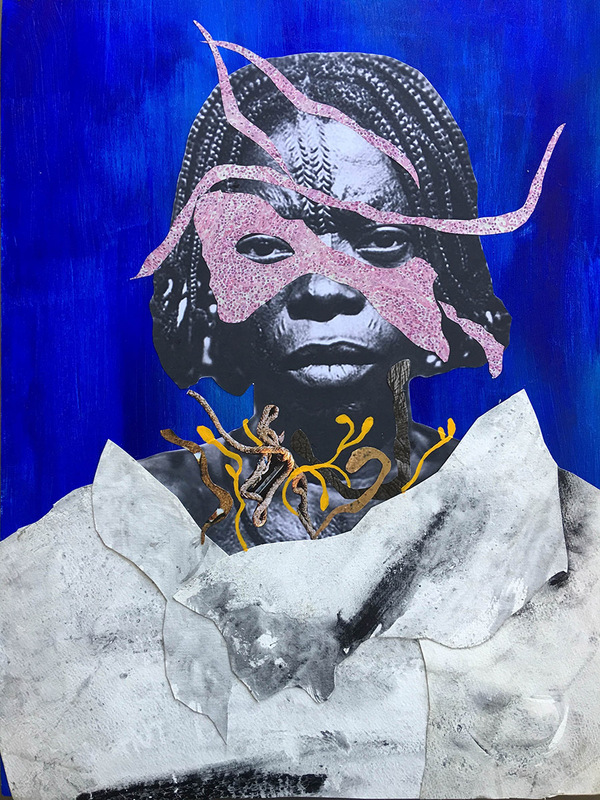 An artist who splits her time between Los Angeles and Berkeley, Kenyatta pursues an artistic practice that refuses easy categorization as it shifts between performance art, visual art, and writing. For Arts Summit, Kenyatta could have delivered a traditional artist talk focusing on how she makes her work and the themes that interest her, but she chose a different approach. She detailed the systematic exclusion from the mainstream art world she has faced in her career as a woman of color, and preached hope and encouragement to a roomful of interns who will undoubtedly face similar struggles. I found myself constructing counterpoints to argue against this misguided sentiment. First, her professor erroneously assumed that Kenyatta’s self-portrait qualified as “black art” simply because Kenyatta is herself black. To be sure, the color of Kenyatta’s skin does not define her work; does the race or ethnicity of the maker or subject of a portrait necessarily determine the genre of that painting? No. It is an essentialist and reductive viewpoint to assume that Kenyatta’s painting qualifies as African, African-American, or “black” art. Furthermore, by saying that Kenyatta was “too talented to paint black art,” the professor revealed a negative value judgement about blackness. I felt that no one should ever have to tolerate such hateful and prejudiced words. Kenyatta was visibly upset as she shared this experience, and I, too, felt discouraged by the possibility of undergoing similar experiences myself. This example, along with many others that Kenyatta provided, indicated how many art spaces currently lack the necessary diversity to welcome artists of color. Kenyatta argued this problem is related to the pervading ideology of many academics and art professionals that maintains there is only one art world, with a singular canon that elevates specific kinds of art over others. 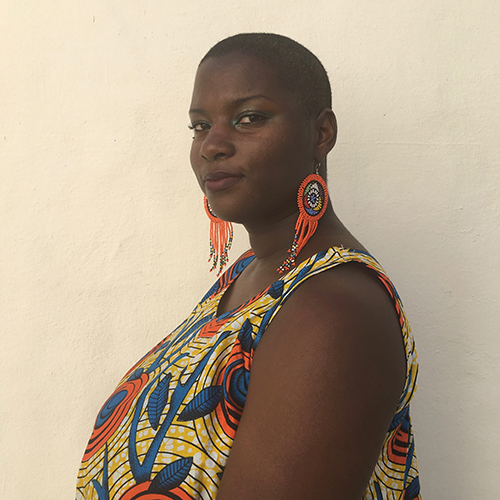 As a low-income, first-generation Latino student with a passion for art history, I found hope in Kenyatta’s ideas that there are many more art worlds that embrace, rather than discriminate against, Kenyatta’s ideas and her unquestionable talent, and infinite ways in which art is produced, appreciated, and understood. I have always endeavored to prove that my ethnicity and my economic situation do not discount me from achieving success or contributing to the artistic community of Los Angeles. My background may not match the backgrounds of a disproportionately large amount of scholars or curators, but I do not believe that I am any less qualified to pursue the same areas of study. Many art worlds means there is a place for me. Ultimately, the response to this question remains in our hands. Kenyatta reaffirmed that, though the art world she is a part of did not always welcome her, she had the power to shape it moving forward. Her answer to this question suggested that we should not be discouraged with how the art world shapes us; instead, we should constantly fight to shape the art world itself. As Multicultural Undergraduate Interns, we are poised to follow Kenyatta’s call that the art world needs us to make multiple art worlds where we can and will succeed. I believe that diversifying the professional fields responsible for the preservation, study, and presentation of art will benefit everyone—not just those who choose careers in the arts. As an example, I believe that showcasing Latin American art within undergraduate courses can teach students to engage with the art of different cultures, thereby encouraging them to become more accepting and cognizant of other communities’ traditions. Within the context of our current political climate, studying underrepresented art forms can be a way to alleviate the tension that plagues our own society. Through our 10-week internship, we interns have the opportunity to acquire knowledge about different art worlds to begin the process of reinvention. 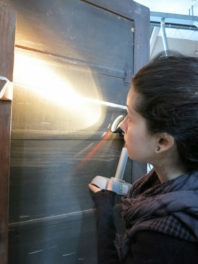 In fact, thanks to the Getty Foundation, I had the opportunity to visit Self Help Graphics & Art as part of my internship. A community-oriented arts organization located in East LA, Self Help Graphics highlights Chicana/o and Latinx art that is produced locally. During my visit, I rekindled my long-lost passion for murals and prints, which are two art forms that have a long tradition in East LA. I was proud to know that my internship encourages an interest in arts organizations like Self Help Graphics and the art forms it supports. Through my experience at the Getty and because of Kenyatta A.C. Hinkle’s inspirational words, I learned that the Getty Multicultural Undergraduate Internship is an opportunity that we must seize. If we do not heed this call to expand the art world, we risk perpetuating the very limitations that have affected artists such as Kenyatta for far too long. The Getty internship program is fantastic…just wish that it wasn’t limited to only students who live or attend school in LA. More foundations need to step up and help minorities in the rest of the country. 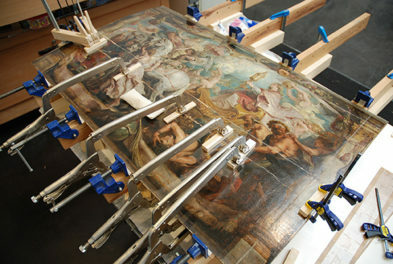 Kudos to the Association of Art Museum Curators for doing just that.